WU Fengfeng, LI Dongsheng, WANG Liang. Online programming technique for flexible assembly of fuselage[J]. Journal of Beijing University of Aeronautics and Astronsutics, 2015, 41(4): 641-648. 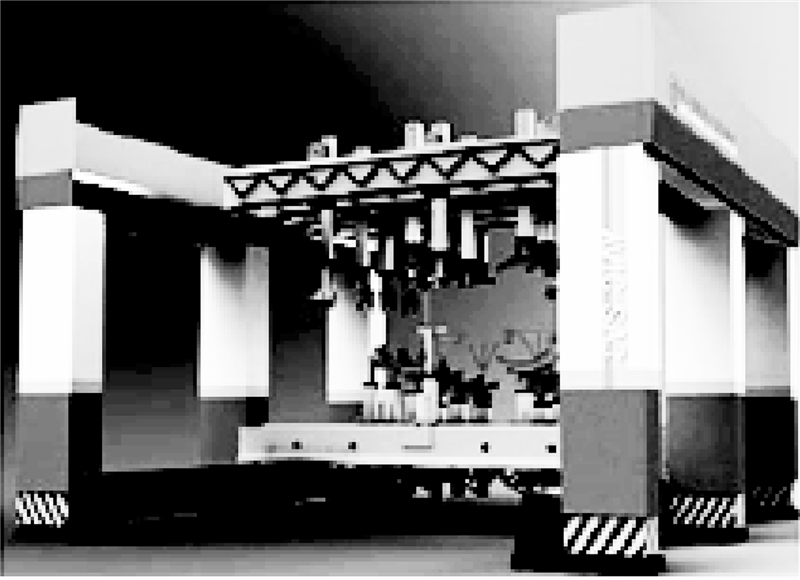 Abstract:In order to meet the deep flexible demands of “one fixture with more models” and “one fixture with more states” for digital assembly of fuselage, enable the “bridge-frame” flexible tooling to have better capacity for independent adaptability, its kinematic model must be set up and its movement controls strategy must be planned properly by online programming technique. For the locating styles of fuselage and the characteristics of flexible tooling, the kinematic model of flexible tooling was set up, then simulation model-based online programming disciplines, the way of building reference points for assembly and the technology of movement controls strategy planning were studied. The way of building a process-driven simulation environment based on structure function was proposed. 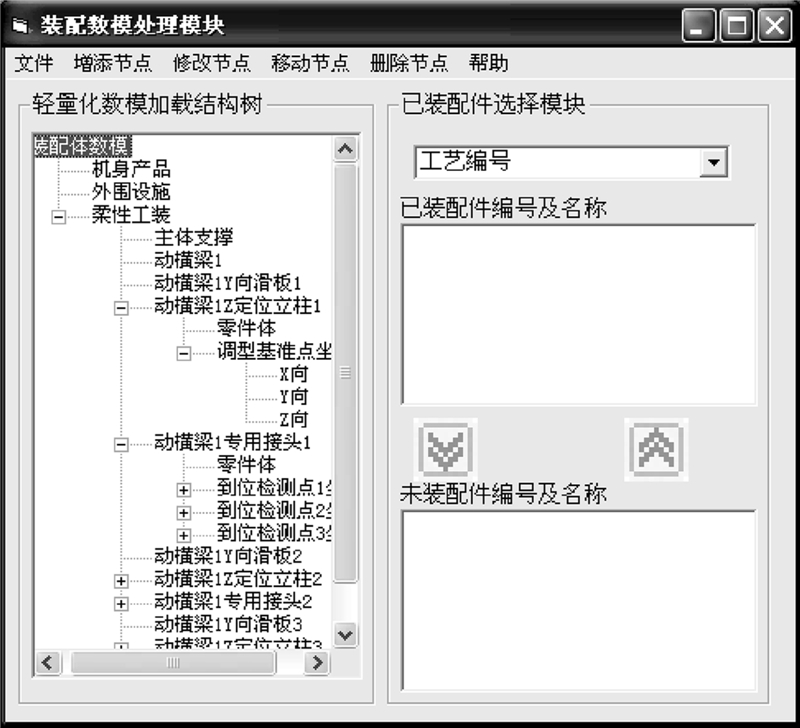 In order to generate the codes quickly to control motion, the online programming system for flexible assembly of fuselage was developed. With the assembly of rear fuselage, for example , the accuracy, high efficiency and strong independent adaptability of this system were verified. 陈建平. 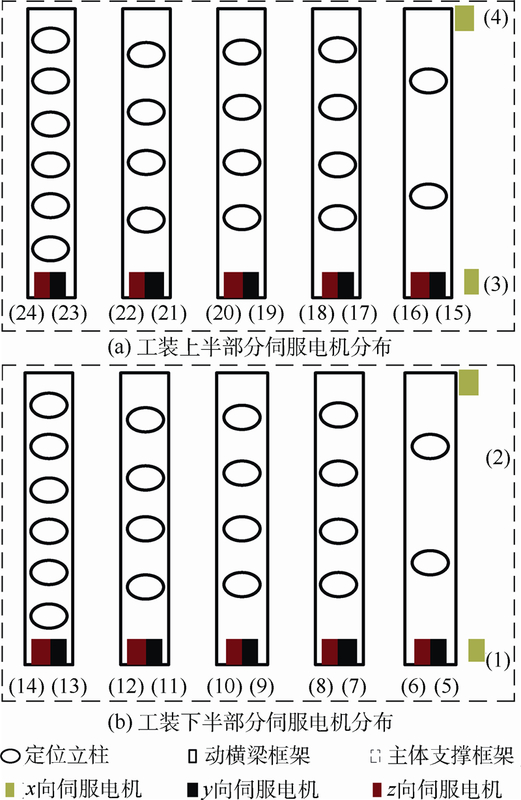 数字化柔性装配的飞机结构设计[J].科技创新与应用,2013(23):12. Chen J P.Aircraft structural design for digital flexible assembly[J].Technology Innovation and Application,2013(23):12(in Chinese). Jonsson M, Ossbahr G.Aspects of reconfigurable and flexible fixtures[J].Production Engineering,2010,4(4):333-339. Bi Y B, Yan W M,Ke Y L.Numerical study on predicting and correcting assembly deformation of a large fuselage panel during digital assembly[J].Assembly Automation,2014,34(2):204-216. 王亮,李东升, 罗红宇,等.飞机装配数控柔性多点工装技术及应用[J].北京航空航天大学学报,2010,36(5):540-544. 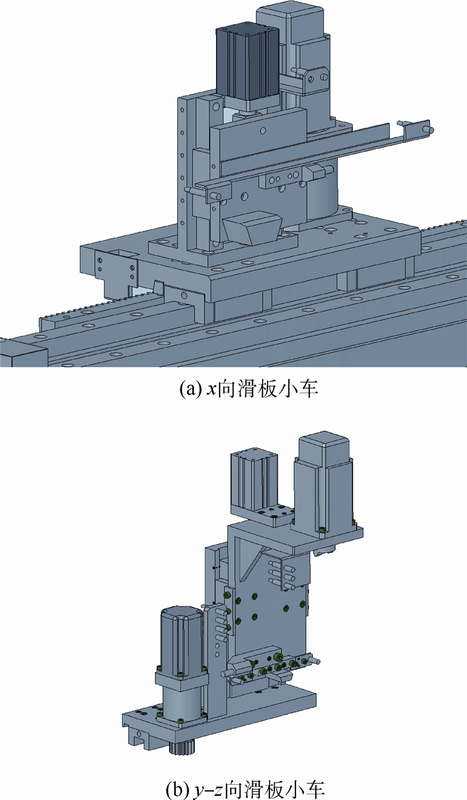 Wang L,Li D S,Luo H Y,et al.Numerical control reconfigurable compliant tooling technology and application in aircraft assembly[J].Journal of Beijing University of Aeronautics and Astronautics,2010,36(5):540-544(in Chinese). 郭飞燕,王仲奇, 康永刚,等.基于坐标孔的数字化柔性工装定位技术[J].计算机集成制造技术,2013,19(4):720-726. Guo F Y,Wang Z Q,Kang Y G,et al.Locating technology in digital flexible tooling based on coordinate holes[J].Computer Integrated Manufacturing Systems,2013,19(4):720-726(in Chinese). 郭志敏,蒋君侠, 柯映林.基于POGO柱三点支撑的飞机大部件调姿方法[J].航空学报,2009,30(7):1319-1324. Guo Z M,Jiang J X,Ke Y L.Posture alignment for large aircraft parts based on three POGO sticks distributed support[J].Acta Aeronautica et Astronautica Sinica,2009,30(7):1319-1324(in Chinese). 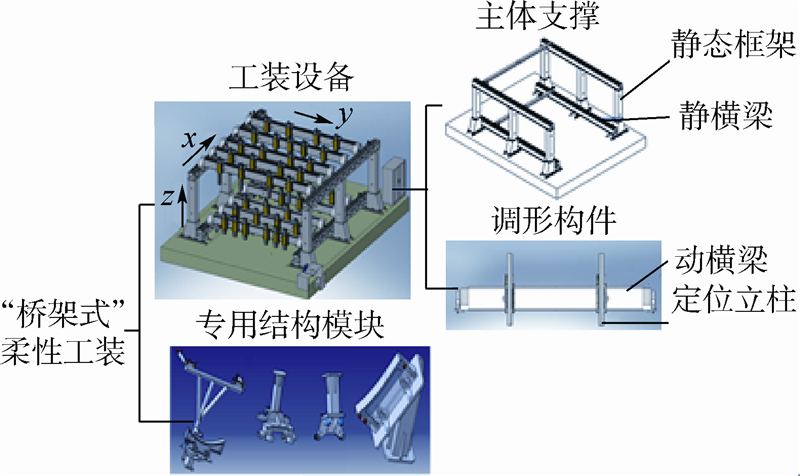 Zhang B, Yao B G,Ke Y L.A novel posture alignment system for aircraft wing assembly[J].Journal of Zhejiang University:Science A,2009,10(11):1624-1630. Zhu Y G, Huang X,Fang W.Trajectory planning algorithm based on quaternion for 6-DOF aircraft wing automatic position and pose adjustment method[J].Chinese Journal of Aeronautics,2010,23(6):707-714. 邱宝贵,蒋君侠, 毕运波,等.大型飞机机身调姿与对接试验系统[J].航空学报,2011,32(5):908-919. 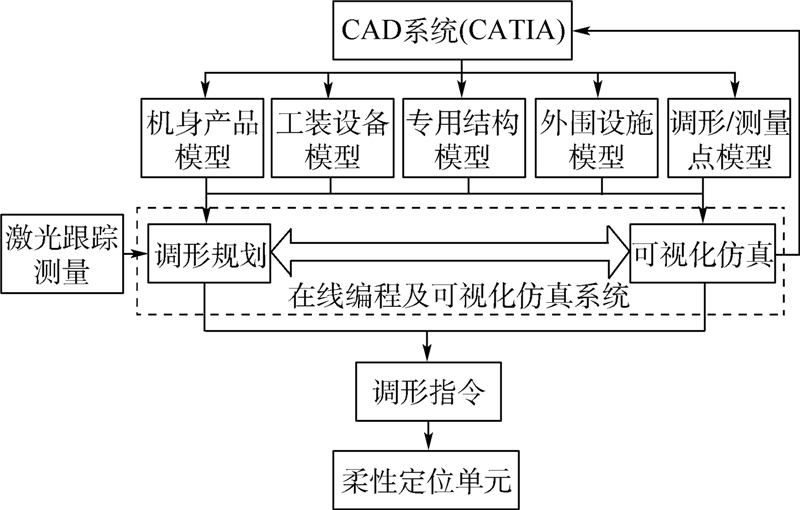 Qiu B G,Jiang J X,Bi Y B,et al.Posture alignment and joining test system for large aircraft fuselages[J].Acta Aeronautica et Astronautica Sinica,2011,32(5):908-919(in Chinese). 王建华,欧阳佳, 陈文亮.飞机柔性装配工装关键技术及发展趋势[J].航空制造技术,2013(17):49-52. 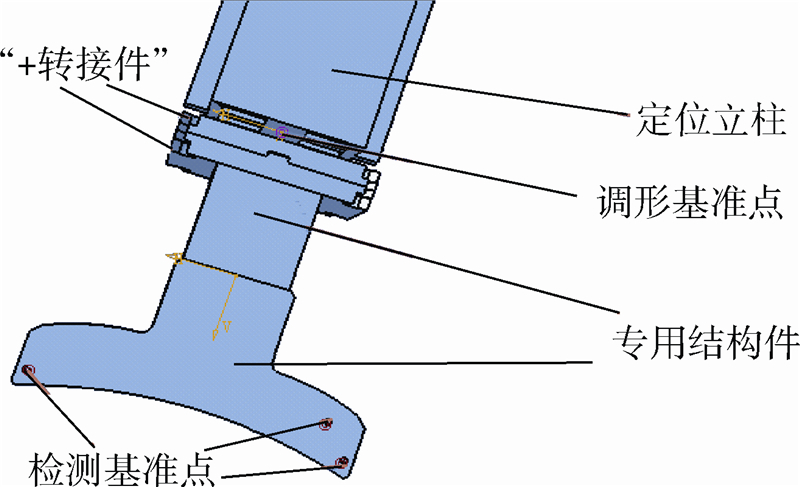 Wang J H,Ouyang J,Chen W L.Key technology and development of flexible assembly tool for aircraft[J].Aeronautical Manufacturing Technology,2013(17):49-52(in Chinese). Kihlman H, Engström M.Flexible fixtures with low cost and short lead-time,2007-01-3797[R].Warrendale:SAE,2007. Millar A, Kihlman H.Reconfigurable flexible tooling for aerospace wing assembly,2009-01-3243[R].Warrendale:SAE, 2009. Kihlman H, Engstrom M.Flexapods-flexible tooling at SAAB for building the NEURON aircraft,2010-01-1871[R].Warrendale:SAE,2010. 郭洪杰,康晓峰, 王亮,等.飞机部件装配数字化柔性工装技术研究[J].航空制造技术,2011(22):94-97. Guo H J,Kang X F,Wang L,et al.Research on flexible tooling technology for digital assembly of aircraft fuselage[J].Aeronautical Manufacturing Technology,2011(22):94-97(in Chinese). 袁立,郭洪杰. 一代飞机一代技术[J].航空制造技术,2012(23-24):38-41. Yuan L,Guo H J.New generation aircraft with new generation technology[J].Aeronautical Manufacturing Technology,2012(23-24):38-41(in Chinese). Li Y G,Jian J B, Yan R J,et al.Aircraft tooling collaborative design based on multi-agent and PDM[J].Concurrent Engineering:Research and Applications,2009,17(2):139-146. 王亮,李东升. 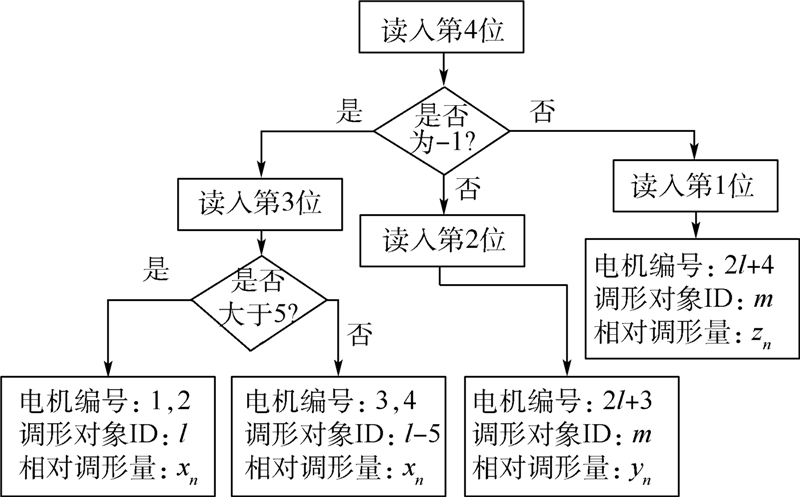 飞机数字化装配柔性工装的低成本化[J].南京航空航天大学学报,2012,44(增刊1):27-31. Wang L,Li D S.Low cost of flexible tooling technology for aircraft digital assembly[J].Journal of Nanjing University of Aeronautics & Astronautics,2012,44(Supple.1):27-31(in Chinese). 王海宇. 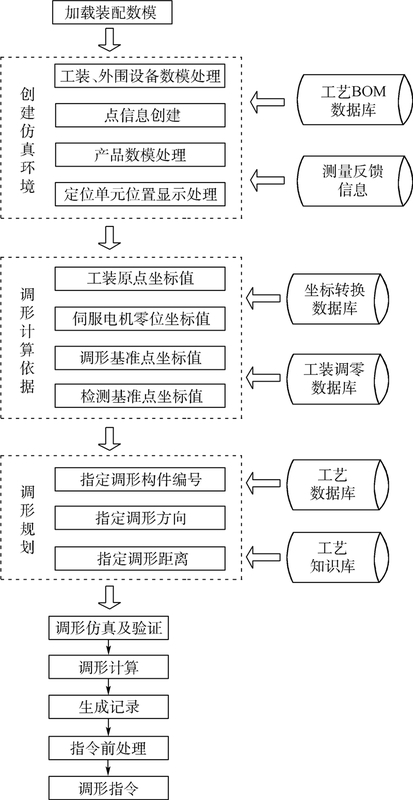 飞机装配工艺学[M].西安:西北工业大学出版社,2012:7-31. Wang H Y.Aircraft assembly technology[M].Xi'an:Northwestern Polytechnical University Press,2012:7-31(in Chinese). Journal of Beijing University of Aeronautics and Astronsutics, 2015, 41(4): 641-648.